Leeds Playhouse is seeking a Graphic Designer. The Communications Team at Leeds Playhouse takes a data focused approach, working in a fast-paced environment, constantly striving to be at the forefront of changes to the ever-changing digital marketing environment. Working closely with the Marketing & Communications Director and the wider team, the Graphic Designer will lead on art-working for all in-house Playhouse productions and offer support to teams across the organisation on the processes for in-house design. The Graphic Designer will also take the lead on ensuring all our communications output is consistent and reflective of the quality of the work across our creative programmes. 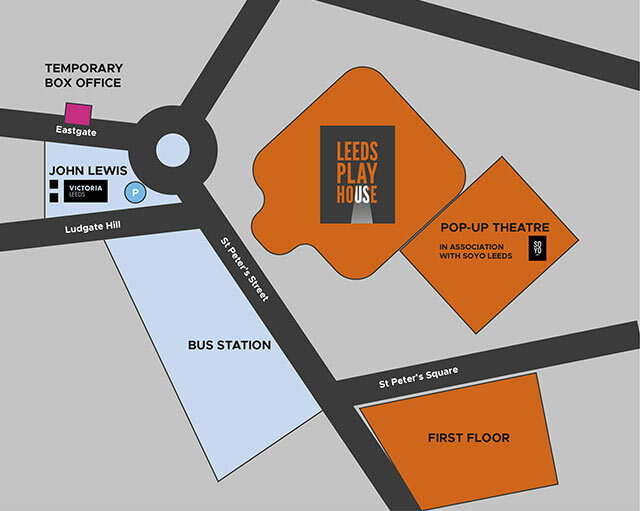 The post-holder will play a crucial role in creating dynamic and imaginative designs that convey the artistic vision and ambition of Leeds Playhouse, ensuring standards are met across all print and digital communications. You will have expert graphic design skills for both print and digital media and up to date knowledge of current design trends. With a new vision unfolding and planning for a capital redevelopment underway, this is an exciting time to join the Playhouse. Please email your completed application and equal opportunities monitoring form to recruitment@leedsplayhouse.org.uk. The Communications Team at Leeds Playhouse takes a data focused approach, working in a fast-paced environment, constantly striving to be at the forefront of changes to the ever-changing digital marketing environment. The role involves working within the busy Communications Team across a wide range of projects, so an organised approach with the ability to manage a busy workload and conflicting demands will be key. This is an excellent opportunity to join Leeds Playhouse, as we prepare to re-open our main building and new Bramall Rock Void Studio and this role will be at the forefront of communicating these changes to our audiences. You will be a talented marketing professional with a proven track record of working across campaigns, from planning to delivery. You will have experience copywriting across print and digital and using a number of digital platforms and social media channels. We regularly offer a variety of voluntary positions in roles across the Playhouse. Our educational and community initiatives offer a range of ways to get involved.